Grab and Fave have struck a strategic partnership to accelerate their growth in the Singapore and Malaysia markets. The move looks to combine the strengths of Fave’s merchant network, along with its FaveDeals platform, with Grab’s user base and growing ecosystem. This will see Fave’s merchant sales team onboarding merchants for GrabFood and GrabPay in Singapore and Malaysia, and looks to bolster the growth of its food delivery and mobile wallet services. Later on, Fave will expand its platform with GrabPay mobile wallet. This will allow Fave customers to use their GrabPay balance to spend on restaurants and retailers in the Fave network, as well as leverage on the deals available on the platform. Both Grab and Fave are also exploring additional ways to collaborate and help small and medium-sized enterprises grow their business, the statement added. As such, further collaborative efforts will be focused on integrating more services on both platforms, including FaveDeals, Fave’s deals, and cashback platform, GrabPay’s QR code payments service and GrabRewards’ loyalty programme. According to the statement, the integration of the GrabPay wallet was done through GrabPlatform. GrabPlatform is a suite of APIs which allow partners to access components of Grab’s technologies – such as logistics and payments. Joel Neoh, founder of Fave, said the collaboration with Grab provides a valuable “win-win situation for both merchants and consumers”. By providing GrabPay as a payment option on the Fave platform, merchants stand to immediately benefit from additional customer traffic from Grab users. “For customers, we have just made life easier for paying at our Fave merchants by partnering with the leading mobile wallet in the region,” Neoh added. “We’ve always believed that in order for the region to go cashless, we would need a collaborative approach and are happy we can now count Fave, one of the fastest growing O2O platform in Southeast Asia as a strategic partner,” Reuben Lai, senior managing director, Grab Financial, said. Most recently, Fave raised over US$20 million in a Series B round from strategic and existing investors to accelerate its exponential growth for the benefit of both offline retail businesses and consumers. 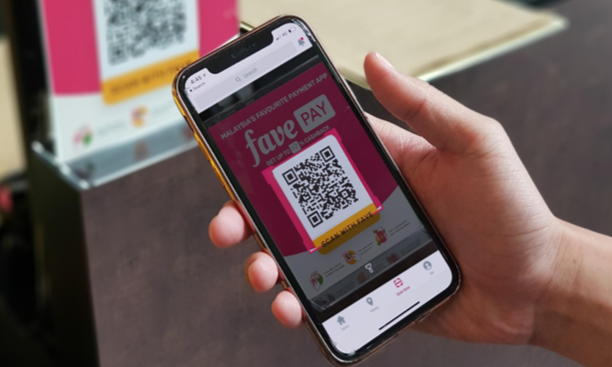 In July, Parkway Parade exclusively partnered Fave to adopt its mobile payments platform, FavePay, across the entire mall. Brands which have agreed to come on board in line with the partnership include Miniso, Yoshinoya, Levi’s, Swensen’s, PUTIEN, Best Denki, and GNC. Earlier this year, AirAsia BIG Loyalty teamed up exclusively with Fave to unveil a new feature on its BIG Loyalty app known as BIG Deals by Fave. Under this partnership, BIG members in Malaysia can earn BIG Points, while enjoying savings of up to 95% off on travel and lifestyle deals by Fave. Fave also partnered with local online grocery retailer Potboy Groceries to organise an online-to-offline (O2O) grocery sale from 6th to 8th July at Jaya One, Petaling Jaya. AIM begins its celebration this year with a new logo that represents the dynamism of the school and the region. ..